Here at Mu Delta Alpha we aim to empower all women.We strive to teach leadership,business skills and a deep sisterhood. 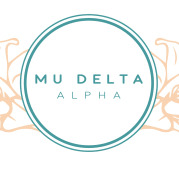 Mu Delta Alpha is very active in the community and known for making wonder events and programs.The program in which we have just started is called Junior MDA which teaches young girls ages 10-18 about Leadership confidence and instilling sisterhood. Would you recommend MUSLIMAHS FOR CHANGE?